So we have put together a few pointers on how to name your very own cake making business. Now, who are we to advise you here ! We made the mistake of not thinking this out ,when we set our own Cake Decorating Academy 5 years ago . But having realised our mistake we can now pass these little nuggets on to you ! Mind you who would think ‘Apple’ make phones and laptops !! 1. Make it clear that you are a Cake Making Business. Make it clear in your business name that you are a Cake Making business. Something too general, such as “Diana’s Creations,” may make it difficult for people searching online for a Cake Maker in your area, whereas “Diana’s Cake Creations” gives an indication of what the business might offer. This doesn’t have to be quite as straightforward as having the word “Cake” in your business name, but including a reference to cakes, cake decorating, baked goods or pastry will certainly be helpful when people are trying to find you. 2.Give yourself room to grow. When choosing a name for your business, you don’t want to limit yourself. For instance, if you specialize in cake pops, calling yourself “My Cake Pop Company” might sound tempting. But what happens in five years when you want to add Cupcakes and Wedding Cakes to your portfolio . “My Cake Pops, Cupcakes and Wedding Cakes” doesn’t have quite the same ring. Don’t limit your future possibilities by choosing a name that is too specific or shuts the door to expanding your offerings. Diana’s Cupcake Couture. A similar business might specializes in cupcake wrappers. While the name indicates a boutique, cupcake-related product, it does not limit the company to just cupcake wrappers. Should they may choose to add other cupcake accessories, they have room to grow without altering the mission statement or company name ! 3. DON’T choose something that’s already been chosen. Even if your last name is Stardust and you make cupcakes, the fact is, Stardust Cupcakes may be already been taken. Even if you’re in a different city than that particulair business, resist the temptation if you can. Not only is it impolite to another business to poach their name, but if a business is already established with a given name, chances are they’ve already claimed the URL, Twitter handle, Facebook page name, etc. This extends to characters and things that are trademarked or copyrighted, too, which can cause confusion and lead to potential legal action. Check Companies House online to see the names of registered LTD companies. If you are going to be a limited company then you can’t chose the same name as one already registered. Family names are safe, if sometimes boring. Howell’s Bakery, Carters’s Bakery, Jones’s Cake Shoppe, etc. Maybe not the most creative method for naming a business, but it does get the job done. Of course, the cool factor is upped if you also have a cool name ! Do choose quirky names with care !!!! Quirky business names can be polarizing. Some find them cute, some don’t. Some start out cute but get stale very quickly. As a general rule of thumb, avoid puns that will be embarrassing every time you answer the phone.Jo wouldn’t let me give you examples …. Don’t be “kool” with your spelling. Is it “kool” to spell it “cupcakez”? People will have different opinions, but a major consideration is, can customers spell it !!! 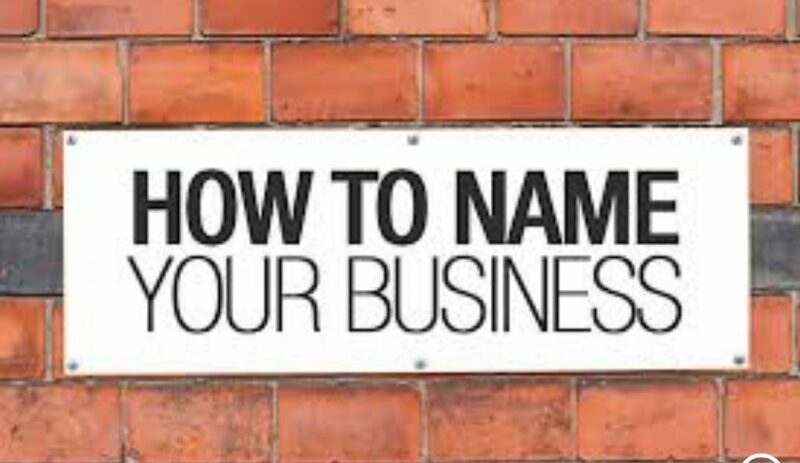 If customers aren’t finding you on Google because they don’t know you’ve spelled your business name in a quirky way, your business may suffer as a result. For example: Red Stamp Bakery, Red Door Cakes, Sprinkles Cupcakes, Bluebird Bakery. For example: Charm City Cakes, Four Oaks Bakery, North Lane Bakery. Flower Name + The Word Bakery. This is our personal favourite as it creates an image in the customers mind which can conjour up happy thoughts. For example: Magnolia Bakery, Dahlia Bakery, Sweet Pea Bakery. Choose a word that has to do with the baking process: sift, crumb, buttercream, whisk, sugar. Flour Bakery, Butter Bakery, Sugar Bakery and Wooden Spoon Bakery are all cute bakery names — they may be taken taken, but this train of thought might help you find naming inspiration from the tools of your trade. If you are serious about escaping the 9 to 5 and really want to get a head start then contact us via our contact us page and arrange a free consultation over the phone as part of our Cake Boss Class.